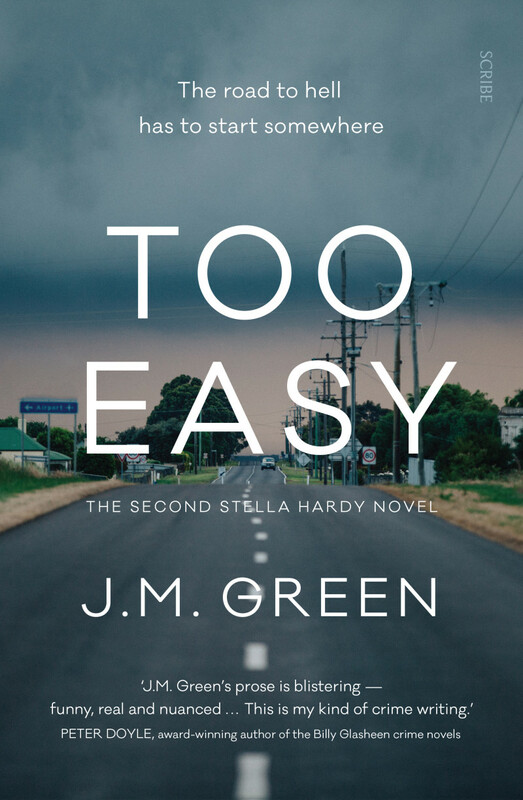 Too Easy is the second book featuring social worker Stella Hardy, the first being Good Money (which is now on my “to read” list!) but is fine to read as a standalone. I had great fun getting to know Stella. She is a fabulous character – real, flawed, funny and boy, does she get herself into trouble! The book is set in modern‑day Melbourne, and is written in first person. Stella’s voice is immediately appealing and within the first few sentences I was more than happy to go along for the ride. Stella’s problems begin with a phone call from her best friend, Detective Phuong Nguyen. When Phuong announces that she and her lover, Bruce Copeland, are engaged, Stella’s reaction is not ideal. She dislikes Copeland intensely and she doesn’t do a very good job of hiding her feelings about it. To make matters worse, Bruce, who is also a detective, has become embroiled in a police corruption scandal. Phuong asks Stella to use her connections on the street to find a drug dealer called Isaac Mortimer, who has gone into hiding. She hopes that Mortimer can testify for Copeland and help to clear his name. Stella is reluctant but eventually agrees. Before long Stella is involved in some pretty serious drama involving a bikie gang called the Corpse Flowers, drugs, weapons, murder, and the exploitation of street kids. And then there’s Phuong’s cousin, Cuong, who believes he is haunted. As if that wasn’t enough, Stella’s lover, Peter Brophy, a former junkie who now makes his living as an artist, has found a new muse, Felicity Sparks. Stella’s just a little bit jealous of the young, blonde and leggy Felicity, who is spending way too much time with Peter. The two women have a few, let’s say, interesting encounters! Stella comes across some pretty unsavoury characters, and she doesn’t escape unscathed. Things get dangerous, secrets are revealed and people are killed. But she gets to the truth in the end. This was a really enjoyable read. Fast paced, a likeable protagonist, villains who were nasty but realistically so, and an intriguing plot with twists I didn’t see coming. Highly recommended.